The 2-panel design is perfect for applications that require a more traditional looking door, without sacrificing the durability of a standard commercial metal security door. 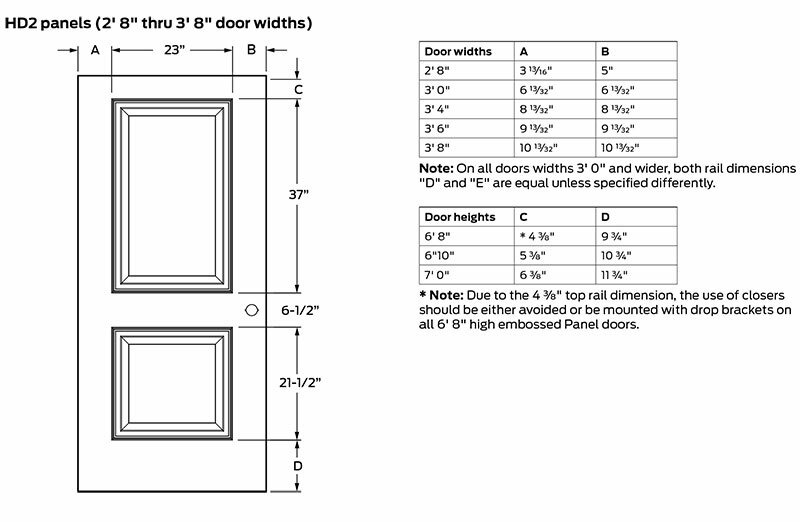 This heavy duty 2-panel steel door is made in the USA by Steelcraft and is an ideal solution for condominium, apartment, hotel and motel entry doors and high-end residential buildings. This premium door construction combines the strength and dimensional stability of steel with the structural integrity of a laminate core.